fashionable a century ago when the zest of fresh lemons was steeped in sugar and alcohol and then enjoyed chilled as an aperitif. for handcrafting the finest, highest quality spirits for discerning people everywhere. recipe for a superior Limoncello, which goes all the way back to Virgilio Pallini. Its delicious natural zest comes from the fragrant peel of Sfusato lemons hand picked on the Amalfi coast, and infused for eight months with finest pure spirit. The result is an intense burst of smooth and tangy flavours whose complex citrus tones shine through. 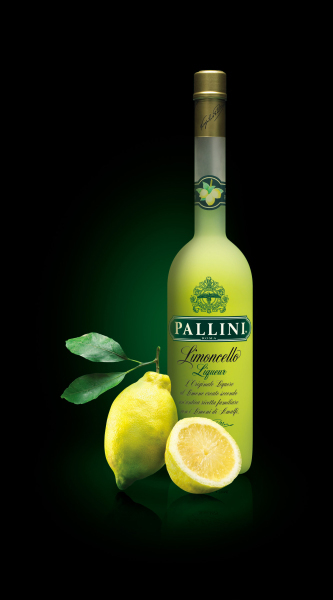 Pallini Limoncello is the world’s no 1 super premium Limoncello brand. Its distinctive award wining packaging is as stylish as the sumptuous drink it pours. It is a very versatile drink. It can be taken neat and chilled “classico” or can be a luxurious ingredient for any Mixologist.